Global commodities giant Glencore stood little chance of retaining Optimum Coal Mine once project State Capture triggered a full-blown assault designed to wrestle the mine out of its hands. 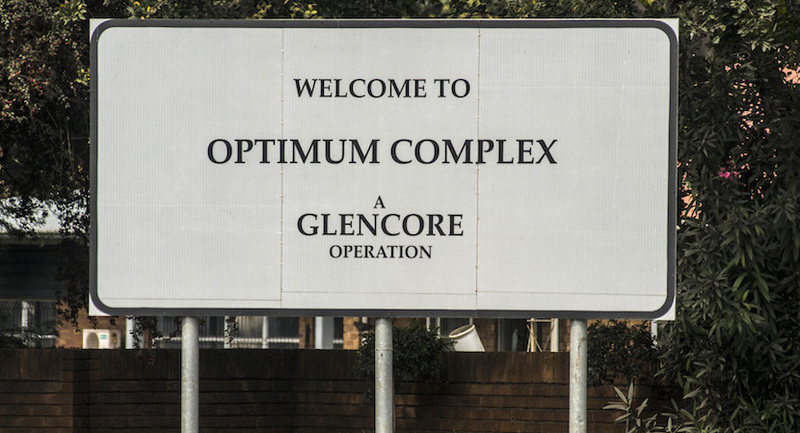 Glencore, pressured into selling a basket of assets to the Guptas in 2015, has for the first time publicly revealed the extent of a campaign that allegedly involved former mining minister Mosebenzi Zwane, former Eskom chairman Dr Ben Ngubane and executives Brian Molefe and Matshela Koko. It also involved government mining inspectors sent out for weekend safety checks at the company’s mines in order to slap Glencore with Section 54 notices – ones that are so serious they shut down an entire mine. Testifying before the State Capture commission on Wednesday, Glencore director and formerly CEO of Optimum Coal Holdings (OCH), Clinton Ephron, painted a picture of the seven-month campaign that ended in January 2016, when Glencore finally agreed to sell OCH to the Guptas for R2.15bn. The trigger for the onslaught appears to have been, on Molefe’s arrival at Eskom, his rejection of a negotiated, revised coal supply contract that had the backing of executives who had been involved in months of negotiations. In May that year, Molefe blocked the deal, insisting the company continued to supply coal even though it had been negotiating with Eskom after it invoked a hardship clause because the coal price it was getting was no longer economically viable. Ephron said the company sent a detailed letter to Molefe to explain the background and reasons for the negotiations and why it was unwise to suggest negotiations could only begin after December 2018, the date upon which Optimum’s contract to supply the Hendrina power station – the only purpose of Optimum’s business – was to expire. Hendrina is wholly reliant on Optimum – the power station was designed based on the coal specifications, logistics and convenience of the location of this mine. “We knew that it would be a huge problem if the mine did not continue after 2018. And, you don’t start negotiating on the 31st of December when coal supply stops the very next day,” Ephron said. Today, not a lump of coal is being supplied by Optimum (after it was bought by the Guptas) to Eskom for Hendrina. The mine is in business rescue and does not have the funds to operate. Ephron said the only other way in which Hendrina may be getting coal is via road transport, the cost of which is borne by Eskom. He then testified to a series of events between May 2015 and December 2016 during which Optimum had tried to keep negotiations alive with Eskom, even after it had been forced into business rescue. On 22 May 2015, Optimum wrote to Vusi Mboweni, then acting head of primary energy, and Molefe, in which the company detailed background to the negotiations and advised them that an Eskom executive committee had already approved the revised contract. They warned Eskom that its change of heart was damaging to Optimum as an initial green light had convinced lenders and shareholders to extend its financial assistance. By then Optimum had exhausted a R2.5bn facility, required R100m a month to operate in order to supply Eskom with coal, and its main shareholder, Glencore, had already pumped about R1bn into the company since 2014. Without further shareholder support or the Eskom deal, Optimum would be forced into liquidation. 11 June 2015: Optimum had secured a meeting between Glencore CEO, Ivan Glasenberg, Ephron and Molefe and his team at Eskom. “Again we tried to discuss and see if there was a way forward. “Once again, we got the same response. Eskom is not willing to negotiate.” The Eskom suits insisted Optimum fulfil its contractual obligations under the original contract as the revised deal was allegedly not in the interest of the parastatal. 1 July 2015: While still trying to negotiate with Eskom, Ephron said they received an unsolicited R2bn non-binding offer, dated 1 July 2015, for Optimum via KPMG on behalf of an anonymous client that later turned out to be Oakbay. The anonymous buyer, it was said, was already a successful coal supplier to Eskom and had letters of support from potential lenders. 16 July 2015: Out of the blue, Ephron says they received a letter of demand, from law firm Cliffe Dekker Hofmeyr, demanding payment of more than R2bn in penalties due to Eskom. In summary, the letter and spreadsheet containing calculations showed that all the coal that had been supplied to Eskom by Optimum (Between March 2012 to May 2015) had been rejected. Essentially Eskom wanted a full refund for all coal it had paid Optimum for. July/August 2015: Eskom in the meantime also withheld R58m and R34m for coal delivered by the company. 4 August: Optimum goes into business rescue. Several attempts are made for a meeting with Eskom by the business rescue practitioners, but Eskom won’t budge. Coal supply to Hendrina is suspended and the business rescue practitioners, through lawyers, offer an interim arrangement pending negotiations for a longer-term solution. Briefly cornered, Molefe and Koko called Ephron and the business rescue practitioners to a meeting where they allegedly commit to resuming negotiations so coal supply can continue. The business rescue practitioners took this in good faith and agreed, as it was one way to avoid liquidation of the company. Eskom, it seems, had other plans. September 2015: Former mining minister Ngoako Ramatlhodi earlier testified at the State Capture Commission about a meeting held then with Molefe and Ngubane, during which Ngubane had allegedly instructed him to shut down all Glencore mines. Ngubane had wanted an immediate decision so he could report back to the president Jacob Zuma, Ramatlhodi said. 17 September 2015: Optimum responds to the letter of demand it had received from Cliffe Dekker Hofmeyr and makes a settlement offer. The law firm writes back, saying Eskom is not amenable and insists payment of the R2bn in penalties is non-negotiable. 21 September 2015: Oakbay makes a second non-binding offer for Optimum, this time for half the initial price it had offered, now just at R1-billion. 22 September 2015: Mosebenzi Zwane is appointed as the country’s new mining minister. October 2015: Negotiations for the possible sale to Oakbay had advanced. Ephron attended a meeting with the business rescue practitioners at the Guptas’ Saxonwold home. The Guptas were told that a sale would only involve Optimum Coal Mine and not two other assets held by Optimum Coal Holdings – a lucrative stake in the Richards Bay Coal Terminal (RBCT) and another mine, Koornfontein. November 2015: Again, out of the blue, Ephron says he was contacted by someone totally unrelated to the negotiating parties, a deputy director general at the Department of Mineral Resources, who allegedly told him the sale of the mine would not be sufficient for this deal, that it would have to include all OCH assets, including the RBCT stake. 24 November 2015: Eskom calls a Glencore representative to a meeting of the business rescue practitioners of Optimum and a Gupta team comprising Nazeem Howa, Ashu Chawla (the man whose emails became known as #GuptaLeaks) and Ronica Ragavan. Koko, Suzanne Daniels and Edwin Mabelane attend for Eskom. Now, in the middle of negotiations for the sale, a condition which Optimum had already set and communicated to Eskom and the Guptas is challenged by Koko. He allegedly told them that Eskom would not consent to the sale until Optimum included the full basket of assets. Eskom consent was a stipulation for the coal supply agreement dating back many years. 26 November 2015: Ephron met Ajay Gupta to formally decline the offer. The company is still in business rescue and the threat of liquidation still looming large. 26 November 2015: Glencore mines are slapped with four Section 54 notices, issued in extreme cases of mine safety infringements. The company had had S54 notices before, justified, he said. In this case, they were all frivolous and unduly harsh for, among other things, an excavator not having a licence, a safety belt not being used by a truck operator, an operator seat not having been adjusted, oil leaks, a cracked windscreen and four trucks found without first-aid kits. Inspectors had worked over a weekend to issue them. 29 November 2015: Convinced it could easily challenge the R2bn in penalties, Glencore decides to continue funding Optimum to take it out of business rescue as the Gupta offer was laughable. Word got out that the Optimum was no longer in distress and that, apart from the legal processes that needed to kick in, it may stay in Glencore’s hands. This, Ephron said, Section 54 notices been “a warning shot” to Glencore from the Department of Mineral Resources, a message to support the sale to the Guptas on their terms. The year ended with an alleged call from Zwane’s office for a meeting with Glasenberg in Switzerland. Ephron said Glasenberg had relayed to him details of the 1 December 2015 meeting at the Dolder Grand Hotel in Zurich. It was attended by Zwane, Glasenberg and Gupta kingpin Salim Essa. Zwane, he said, allegedly didn’t want to discuss with Glasenberg the Section 54 notices. Glasenberg then told the former minister that Glencore would take Optimum out of business rescue, but was open to a sale at the right price. For the price negotiations, Ephron said he was called to a meeting with Glasenberg, Essa, Zwane and Tony Gupta at the same hotel the following day. This meeting, Ephron testified, was opened by Zwane, who noted the importance of avoiding the liquidation of the company, the importance of retaining jobs and allegedly added that the best possible outcome was for Glencore to reach a deal with the Guptas. Zwane then left, leaving the rest of them to thrash out the R2.15bn deal. Ephron said Glencore eventually sold because it was satisfied with the price and because the transaction made commercial sense. But about a week before payment was due, Essa called to say they were short of R600-million.